Mercure Perth has bid farewell to its former colour schemes and embraced a vibrant, colourful new design following a AUD$1 million refurbishment. Drawing on the vibrancy of the Perth city skyline at sunset, the feature walls have been adorned with a new mural design that contrasts with soft curtains and crisp white linens. Accent cushions in sunset hues add a pop of brightness. Those into maintaining their fitness while on the road will love the gym’s new treadmills, cross trainers, hand held weights and floor to ceiling mirrors, complemented by an abundance of natural light and Swan River vistas. AccorHotels Area General Manager Operations, Nathan Frost, said the new rooms have already received positive guest feedback. “Our guests are really loving the new sense of spaciousness and the fun colour palate in the new rooms,” he said. 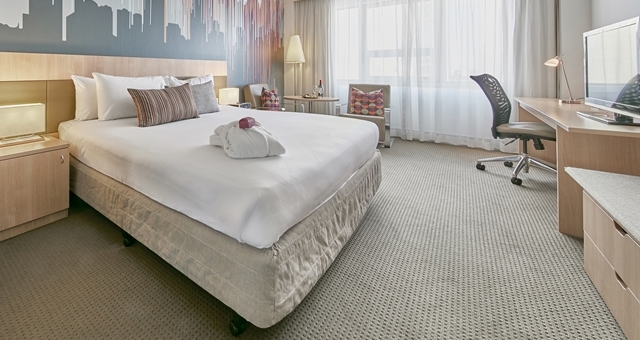 “Mercure Perth has long been a favourite for business and leisure travellers visiting Perth. 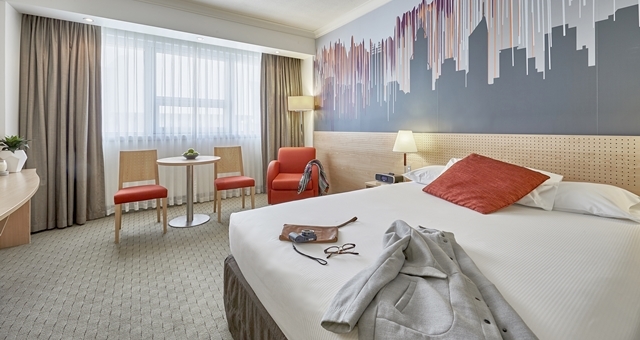 The upgrade places the hotel in a market-leading position within the midscale sector thanks to its new level of comfort, design and personality at a great price. “An additional bonus for guests staying at Mercure Perth is the outstanding array of dining options on site, including Perth’s newest Italian dining experience – Cucina on Hay – which opened in March 2017 and the launch of an enticing new spring menu at Beccaria Restaurant and Bar,” Frost said.